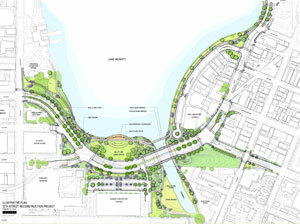 The Bureau of Engineering & Construction plans, designs and constructs major capital improvements throughout Oakland. For more about the Bureau, visit our At a Glance Page. Capital Projects are designed to upgrade and improve the City’s infrastructure including building facilities, parks/open space, streets, sidewalks and sewers. Measure DD is a $198.25 million bond measure for better parks and cleaner water. Funded projects include parks, trails, bridges, a recreation center, historic building renovations, land acquisition and creek restoration. Measure B provides a one-half-cent sales tax to improve transportation in Alameda County. Fact Sheet on how the additional one-half-cent sales tax will impact Oakland's transporation projects. We are doing all we can to make our City even friendlier for bicyclists and pedestrians! Learn more about how these programs work to secure funding and initiate a variety of bicycle projects in every part of Oakland. 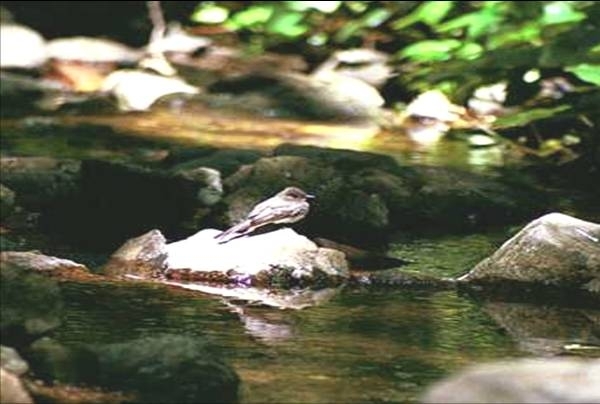 Healthy watersheds are a vital component of a healthy urban environment and Oakland's watershed of more than 15 main creeks, 30 tributaries, Lake Merritt and the Estuary make it a unique City resource. With over 2,300 lane miles of streets and 1,120 miles of sidewalk (the distance from Oakland to El Paso, Texas! ), Oakland faces a big challenge in maintaining this essential element of City infrastructure. Several programs and projects working together keep Oakland streets and sidewalks safe, accessible and efficient as possible by rehabilitating streets, repairing sidewalks and improving streetscapes. 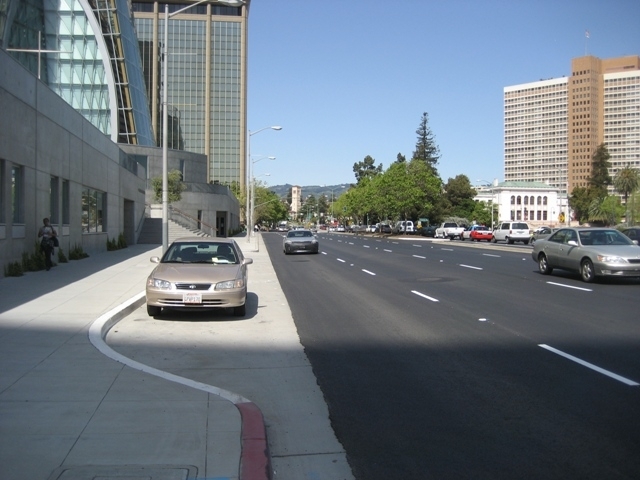 See the Oakland Streets Fact Sheet for more information.